Many times we face problem to open blocked websites in some region or low response time of our internet servers then some of the best free proxy servers list is really helpful for us because by using them we can use few very useful sites which are hard to access. There are so many use best free VPN sites in our list which we are sharing here to help the readers of this blog posts. By using these servers not only we can open websites but can enjoy faster internet surfing easily without paying any dollar and can deal with our client also, these top sites generally redirect the traffic from our servers to their own in this way they can serve us better. Many of the above mentioned best free proxy websites in the list i already used and some may be not but on the internet we found that many bloggers are recommending those. Anonymouse.org is one of my favorite and from last many years i am using it. 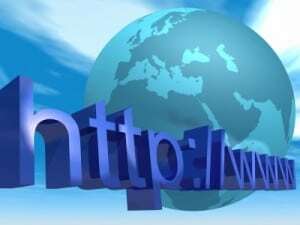 When i created one new site before 5 years then my site was not opening at my IP address my hosting provider in my town suggested me to check my newly hosted website on anonymouse.org and i found that was opening also, then i knew the why and when we should use Best free proxy servers or sites and i collected many of the above sites after checking and after asking from my friends also. Readers can find some useful websites for directory submission sites and social bookmarking sites list 2016 also.